The appeal, commencing 6 August this year, will see McDonalds put forward 5 experts to assist their case for a McDonalds in Tecoma. And they've got very deep pockets to pay for it. At the practice day hearing the community also nominated 5 experts to assist with the case. Now they're on the hunt to find people who are committed to the cause to help out. Are you an expert (this means professional qualifications) who is willing to help the community pro bono, or at reduced community friendly rates? Do you know someone who might want to help out? The help of experts will really bolster the community's case, if you can help or know someone who might be able to help out please contact No Maccas in the Hills on nomaccas2012@gmail.com. 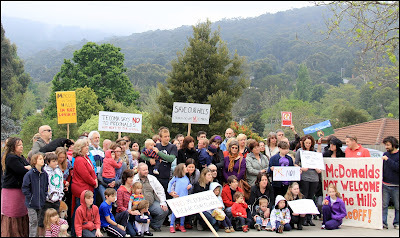 For the latest information on the No Maccas campaign visit http://nomaccasinthehills.info/. changes to planning scheme - who's heard? One of the items on this week's agenda was some proposed changes to the Victorian Planning Provisions (VPPs - they're the statewide planning controls). The Department of Planning and Community Development (DPCD) is seeking feedback to proposed changes to provisions that relate to walls on boundaries, community housing, residential aged care facilities and broiler farms. The two that particularly caught my eye were the changes in relation to community housing and residential aged care facilities. The changes put up for community housing raised concern with the proposed changes omitting of a number of standards as part of permit exemptions including neighbourhood character considerations, private open space requirements and energy efficiency requirements. If changes to the VPPs mean we want buildings to stick out like sore thumbs, mean people live in places with no private open space and in buildings that cost a fortune to run then that is disgraceful. The other issue that particularly raised my ire was around residential aged care facilities. The proposed changes mean there would be no specific consideration to the location and the proximity of shops and public transport. What a shocking outcome this would be. affect public consultation, notification and appeal rights. Given this government's election commitment to open and transparent government I'd hope that the community is given ample opportunity to comment on changes to the planning scheme which will have a fundamental affect on the places they live, work and play. Council supported the motion unanimously. As part of council's committment to open and transparent governance we have started to report back via our formal meeting process submissions we have made. VicForests on proposed changes to the 2011-2016 timber release plan. The first submission highlighted the benefits to Yarra Ranges Council of a Container Deposit Scheme to reduce waste to landfill and the associated costs to council. Yarra Ranges Council has long supported the concept of a Container Deposit Scheme as a way to reduce litter in the environment, reduce the cost of waste management, provide opportunities for community groups to raise income, better reuse resources, increase recycling rates and decrease waste to landfill. The second submission (to VicForests) highlighted council's concerns, previously detailed in our submission last year (click here for details). They include issues around logging in water catchments, impacts on local tourism and economy, impacts on the environment, quality of ecological assessments, retention of habitat trees, protection of threatened species habitat and regeneration of logged coupes. It is worth noting no changes were made in relation to any submissions made by stakeholders last time round, I suspect it will be the same outcome this time round. If you'd like to look at either of council's submissions click here for a copy. At this week's meeting I moved a motion to support the replacement of a telecommunications tower currently on site at Garden City Plastics in Monbulk. 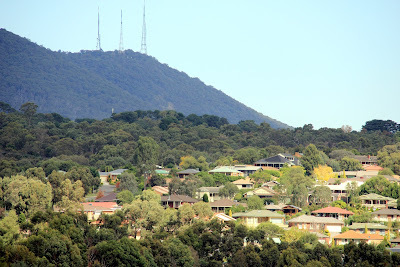 It is rare that Yarra Ranges council gives approval for telecommunications towers due to the lack of consideration of siting and significant landscape issues. This was not one of this occasions. In speaking in support of the application I talked about the fact that the site was zoned Industrial 3 and as such was an appropriate location for such a facility. The pole was not situated on a ridgeline and minimal earthworks would be required. As there is existing power on the site no additional disturbance is required to complete the installation. The pole would not impact on the heritage overlay on the site which protects the significant elements of the old Monbulk Jam Factory. The site itself is screened by vegetation and the landscape contains many tall trees which provide a backdrop to the area which mitigates visual intrusion. In fact in some places it's difficult to see across the hills due to the extent and height of the vegetation. There will be enormous community benefit with the installation of the pole which will replace a 30mt pole with a 35mt pole. The replacement pole will enable council to upgrade analogue television services to digital and see improved television reception, it will see the co-location of Optus, Vodaphone and Telstra, something council is very keen to encourage rather than see the proliferation of telecommunications towers. I also think the improved mobile coverage of Optus and Vodaphone will open up a far more competitive market in the hills, something lacking at the moment as Telstra has the lion's share of coverage in the region. I'm pleased to report that councillors supported the motion unanimously (note: Cr Cox was excluded from the vote due to declaring a conflict of interest). At this week's council meeting we had to consider Housing Amendment C97, also known as the Housing Strategy. A long time in the making (we started the journey in 2007) it was time to consider the final amendment and endorse it for submission to the Minister for Planning for his approval. I spoke to the amendment and how it would effect Belgrave and Tecoma. 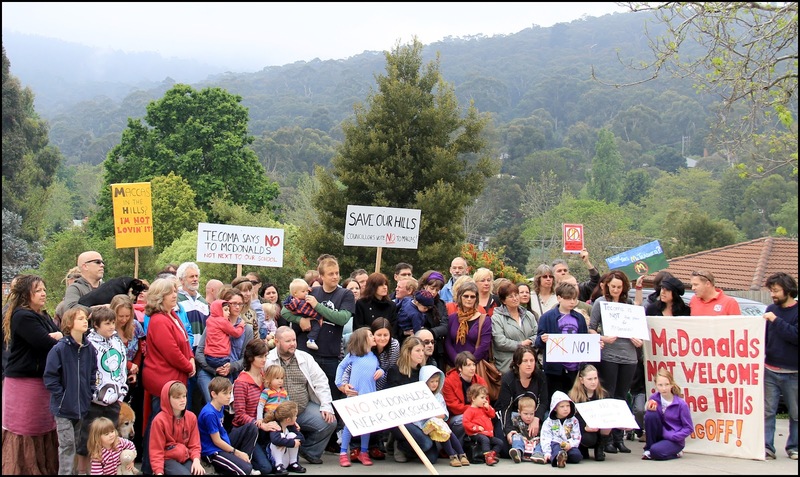 In effect should the amendment be approved by the Minister the land zoned Residential 1 in Belgrave and Tecoma will be rezoned to Residential 3. This is a great outcome for the hills, as controls in Res 3 are far more sensitive than Res 1 which is more of an 'open slather' zoning. Rather than the current controls which accept 60% site coverage for a dwelling and 80% site coverage for total hard surfaces the new zoning means that site coverage for dwellings is reduced to 30% and total hard surfaces 50%. Allowing a modest amount of infill housing will ensure aging in place opportunities and the areas in question are close to Tecoma and Belgrave railway stations. It's terrific to know that the new zoning will give hills residents the chance to downsize when they need to without leaving the area. One of the very positive outcomes of the amendment will see the integration of the Neighbourhood Character controls giving more strength to these via the planning scheme (and at VCAT too). I'm pleased that the Housing Amendment C97 was endorsed by the majority of council. Councillors Richard Higgins, Len Cox and Tim Heenan. MINI-BEASTS FESTIVAL - Freaky, fun & free!! park in the main carpark and follow the signs up the gravel road. Bring a picnic or buy a snag or vegie burger at our barbeque. Good coffee will be available too! For more information contact Jackie Glen on Bianca28@iprimus.net.au. The Dandenong Ranges Climate Impacts Rally (350.org) is part of an international event run by 350.org. This will be one of many events across the globe to focus public attention on the many impacts that climate change is already having on people, animals and ecosystems. The event is intended to highlight that climate change will increase the incidence of extreme and catastrophic wildfire weather days (as predicted by the IPCC). 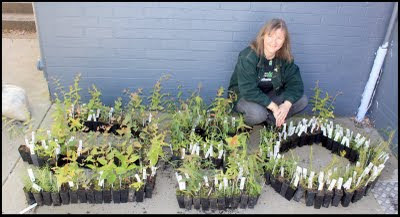 In 2009 I was pleased to be able to support a local 350.org event by providing 350 indigenous plants to hand out to passer bys. Increased public awareness of climate impacts is critical to decisive action on climate change. In 2009 over 100 people came out to support the 350.org event in Belgrave. It was a great show of local support to see action on climate change. Organisers are keen to spread the word on this rally, please pass on details to your networks. For more details you can email pcook@wildcoast.net.au or click here, visit the 350.org website, go to local website DRREA and join the event on facebook. Be sure to pencil the ECO FOOD FEST into your diary for Saturday April 28th. ECO FOOD FEST is the second festival celebrating sustainable food and living in the Yarra Valley. I had the great pleasure of speaking at ECOSS' 350.org event last year, this time round I've got the honour of opening the Environmental Earth Goddess Sculpture at 3:15pm. Artists Sioux Dolman and Dakini Maddock have created a larger than life earth sculpture. This magical ‘earth’ sculpture will be planted out during the day with the help of any willing hands. ECO FOOD FEST will be jam packed with chats, tours, demonstrations and a stack of kids activities. There will be free eco-food workshops, stalls and music. Learn about home-brewing, backyard beekeeping, chooks, food preserving or no dig gardening. Or you can just sit back, relax and enjoy the beautiful grounds with great food and entertainment. You can start the day with poets and pancakes for breakfast, or for the active, yoga starts at 9:30. Children's activites include a creative workshop for 6-12 year olds (10:30), whilst there's a circus workshop for 8+year olds at 2 - 4pm. Eager youngsters can also make fresh apple juice and face painting will be available for most of the day. Fantastic food will be provided by Cafe Koha and ECOSS's pizza oven as well and the Gawler Foundation's super juices will be on hand too. 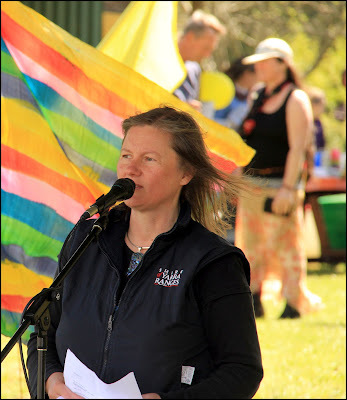 and Santha Press will lead the popular Community Big Sing and Songs Across the Valley Project. It will be a great day out, a wonderful celebration of all things sustainable. I look forward to seeing you there. 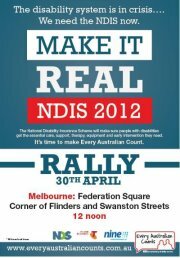 Come and show your support for a National Disability Insurance Scheme by joining community members around the country at a the NDIS Make it Real rally on Monday 30 April, 2012. Melbourne's rally will run from noon at Federation Square in Melbourne. For more details check facebook here. Organisers are trying to spread the word using social media and internet so it would be great if you would promote this event through your networks. If you're really keen you can visit the campaign website to register to become a 'rally builder'. The rally is a great opportunity to raise awareness in the community about the critical need for the National Disability Insurance Scheme. It will send send a clear message to political leaders and the community that 2012 is the year to Make the NDIS Real! It was great to catch up with Michelle Jones, dedicated convenor of Sherbrooke Community Harvest at the Yarra Ranges Thank You to Environmental Volunteers event. Michelle was busily handing out seeds to all and sundry to encourage people to plant back yard veggie patches. I very readily accepted garlic and bay leaves from Birdsland. Sherbrooke Community Harvest was formed to make people aware of food security, climate change and peak oil issues. They believe that all the resources are in the community to share knowledge, skills and resources to start addressing these issues. A great initiative of Sherbrooke Community Harvest was to promote the issues of food security, climate change and peak oil by supplying $1,500 of DVDs to the Eastern Regional Libraries network of libraries. Another great initiative is the Food/Swap/Buy/Meet in Main Street, Upwey (outside Magpie Cafe) from 10 - 11:30am. Locally grown chemical free fruit, vegetables, plants, seeds and seedlings are available to buy or swap. New stalls are always welcome. You can bring you home grown excess produce to swap-share-meet with with your local community. If you're interested in learning more or booking a stall email michellejones58@optusnet.com.au. Or you can just turn up! At the last council meeting I put forward a motion to support the recommendations of the Expert Panel report into Constitutional Recognition of Aboriginal and Torres Strait Islander People. I'm pleased to report that the motion was supported unanimously by council. 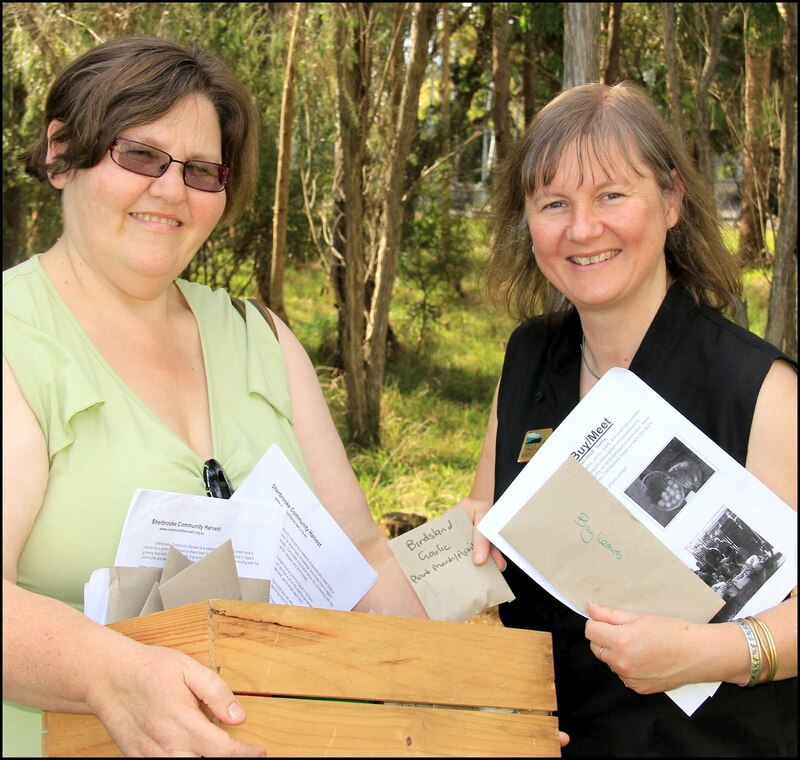 Yarra Ranges Council has been a leader in supporting its Indigenous community. We have the second largest population of Indigenous peoples in metropolitan Melbourne. The first council to deliver a statement of apology in 1997, since that time we've worked to maintain an Indigenous voice on Indigenous issues. We think it's important to acknowledge and protect Indigenous cultural heritage, engage Indigenous young people and promote health and wellbeing amongst our Indigenous community. In 2006 we employed an Indigenous Development Officer and established an Indigenous Advisory Committee to advise council on Indigenous matters. Given our history of commitment to reconciliation and strengthening the relationship between Indigenous and non Indigenous communities I thought it would be important and appropriate for council to support Constitutional Recognition. Prior to me bringing the motion to council I spoke to our Indigenous Advisory Committee to seek their advice on the matter. I'm pleased to report the committee were very supportive of the motion. The motion also seeks member councils of both the local government peak bodies, the VLGA and MAV, to endorse the recommendations of the Expert Panel into Constitutional Recognition of Aboriginal and Torres Strait Islanders. I look forward to seeing more local governments support this important change to our constitution. 1. Welcomes the release of the Expert Panel report into Constitutional Recognition of Aboriginal and Torres Strait Islander People and supports all of its recommendations. 2. Write to the MAV and the VLGA, endorsing the panel recommendations and requesting the MAV and VLGA member councils also endorse these recommendations. It was terrific to be able to move a motion at the last council meeting to endorse the Yarra Ranges Council Flora and Fauna Plan 2012. The plan is based on the core ecological goals of Protect, Enhance and Restore. After being part of the steering committee for many years, reading and contributing to many iterations of this plan it's great to see it finalised and unanimously endorsed by council. A long time in the making, originally endorsed for public comment in November, 2010, it caused much controversy when local media misreported the intent of strategy with outlandish claims that council was going to stop people planting roses. Council received numerous submissions from the public, many of them misguided due to misunderstandings about the content of the strategy. Legitimate concerns were raised about bushfire safety, human safety, property rights, offsets and enforcement. On analysis of these submissions council decided to create a document that was much clearer, concise and easy to read. The plan does not introduce any new policy or regulation. It frames the guiding principles and goals that are currently used in council practice and is consistent with Council's Environment Strategy and other existing State and Federal government policy and legislation. 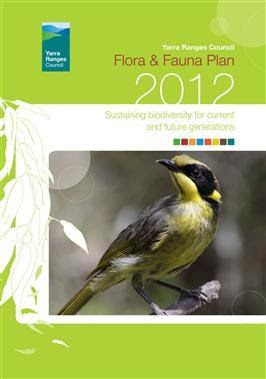 I'm proud to be able to put forward the Yarra Ranges Flora and Fauna Plan 2012 for endorsement. 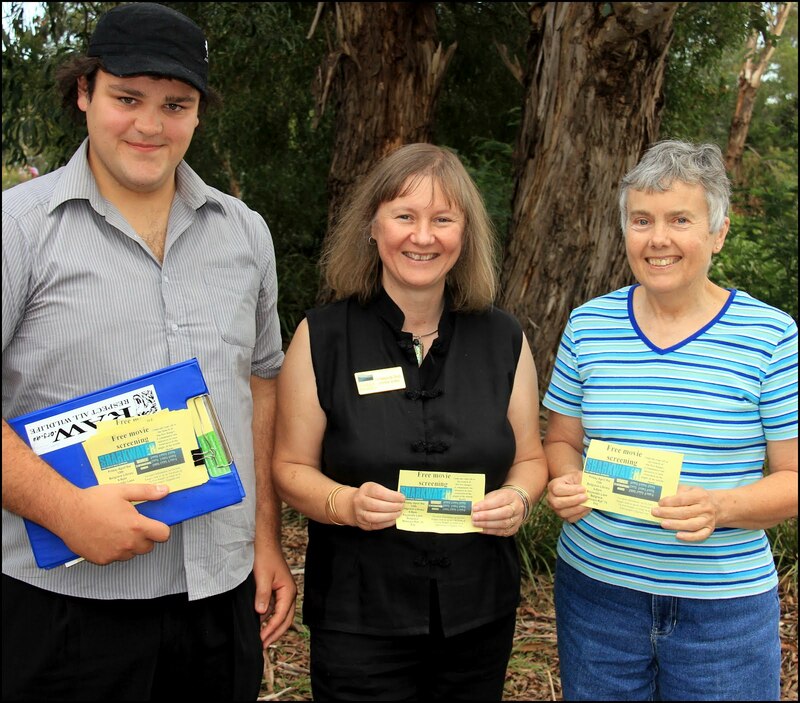 It was terrific to catch up with our Environmental Volunteers over the weekend at the Yarra Ranges Thank You event. Here I am pictured with our Young Environmental Achiever of the Year, Jordan Crook and Environmental Achiever of the Year, Irene Peary of Macclesfield Landcare Group promoting Fin Free Ranges and Sharkwater (for more info see below). Our environmental volunteers do a great job protecting, enhancing and restoring our environment. Passionate about our region, they spend countless hours working to make Yarra Ranges a better place. Our Young Environmental Achiever of the Year, Jordan Crook, is embarking on a new project, Fin Free Ranges. Jordan wants to raise awareness of the plight of the world's Sharks and the impact of shark finning on the population of this apex predator. With Fin Free Ranges Jordan aims to rid the Shire of Yarra Ranges of Shark Fin Soup. On Friday the 13th of April (6pm) Fin Free Ranges will launch at the Belgrave Library with a screening of multi award winning documentary “Sharkwater” followed by idea sharing on how to raise awareness and take action for Sharks. You can find out more about the event on facebook. Jordan has asked that I raise a motion on the issue at council. I'll be working with Jordan on learning more about how the City of Toronto became Shark Fin Free to help inform that motion. It's terrific to see young people dedicate countless hours to the protection of the environment, Jordan certainly is a worthy winner of our Young Environmentalist of the Year.